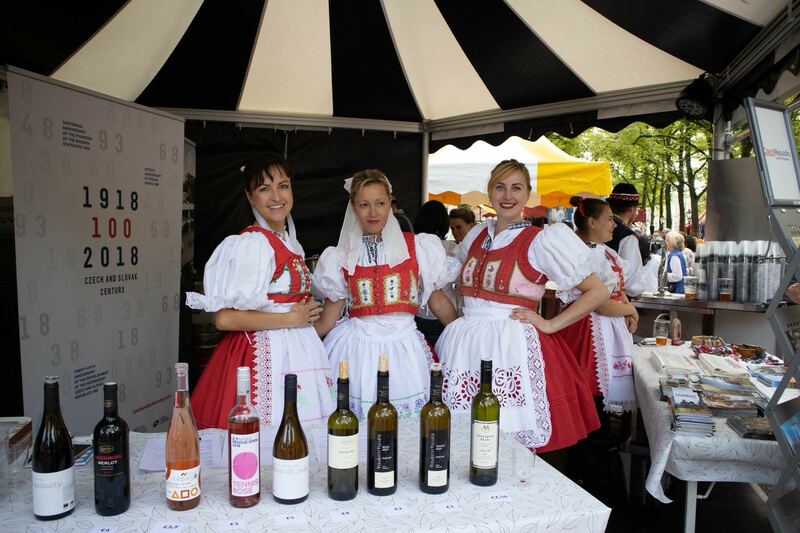 On 1 September 2018, the Czech Dutch Chamber of Commerce (CDCC) jointly with the Embassy of the Czech Republic, CzechTrade, Czech Centre and Czech Tourism successfully represented the Czech Republic at the sixth annual Embassy Festival in The Hague. Visitors of the Czech stand got the opportunity to taste delicious Czech wines from our member V8 Alliance, an association of several wines producers from south east of the country, enjoyed traditional Czech food, such as goulash, dumplings filled with smoked meat and fruit cakes, as well as Czech beer, provided by Brewery Hubertus from Kacov. Besides the Czech gastronomy experience the visitors could learn about historic monuments, interesting places and natural parks in the country worth vising. 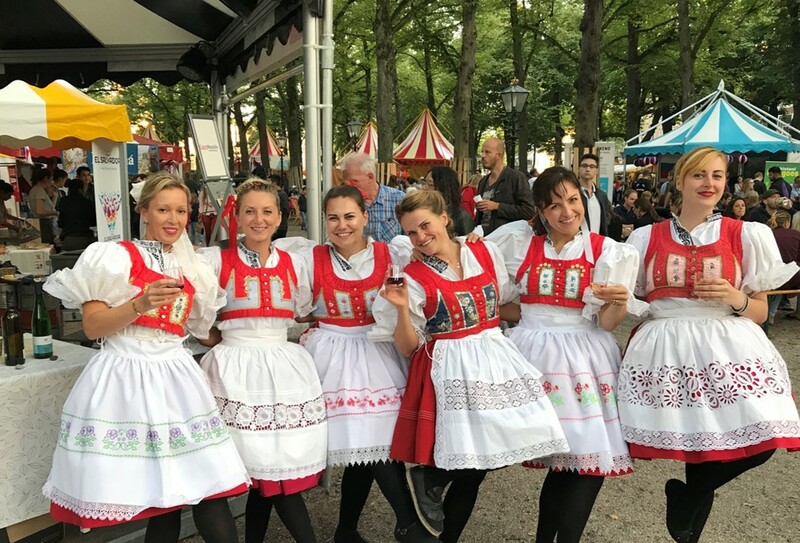 Representatives of the participating Czech organisations were wearing traditional folk costumes from the Kyjov region (south-east of Czechia) underlining the pleasant atmosphere of the Festival and providing an insight into the Czech traditions. From left: Katerina Veliskova, CDCC, Vladimira van Aarle, CDCC and other Czech representatives. The Embassy Festival is an event organised in co-operation with the Municipality of The Hague’s Department of International Affairs and numerous embassies in the Netherlands. It has been gaining popularity over the last few years and has become a popular cultural and gastronomic event traditionally taking place on the first Saturday of September. Besides the Czech Republic, over other 40 countries were represented.